Let me tell you about two very fragrant plants i have recently come across. Both are growing very happily in my city lahore and i am sure they can grow as easily in other warm climates. 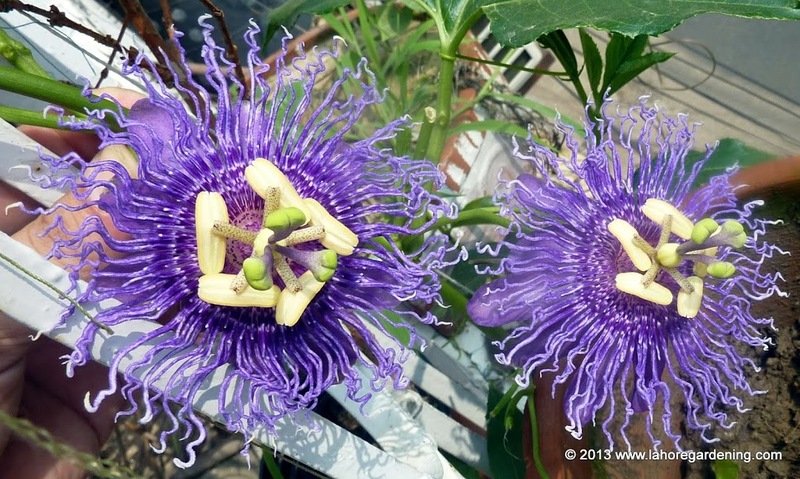 These are Passiflora incense and Bushman’s poison flowers. Though i can grow both but i am opting to grow only only of them. Why so? you will learn soon.First one is Passiflora Incense. Passion flower with botanic name passiflora and common name “ghari phool” are flowering vines mostly from warm climates as not all of the varieties can tolerate sever winters. The most common variety around has been passiflora caerulea which survives the winter of lahore with some care in first year. 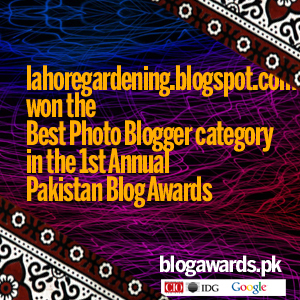 A very good article on growing passiflora in pakistan has been written by Zahrah nasir of Dawn. I personally grew passiflora incarnata from seed in May last year. But i will not advise growing it from seed as it may take a lot of years to flower from seed. Better to purchase rooted cuttings or buy plants in flowering stage to ensure that plant has broken flower dormancy. The below is passiflora ‘Incense’ a hyrbird between Passiflora incarnatax x cincinnata. Very fragrant purple flowers and very prolific flowering in lahore such that the vine is almost covered with flowers. Easily survives winter of lahore, 0c. Flowers almost whole summer. The other plant which is probably one of the most fragrant plants i have ever come across, more fragrant than marwa or even snail vine It is Bushman’s poison with botanic name Acokanthera oppositifolia The fragrance of one small plant can be felt even from 25-30 feet which is just amazing. But being a nuts for fragrant flowers, i did not grow it, why? Because it is one of the most toxic plants of the world. Yes this is why the name Bushman’s poison. The plant is so toxic that it has been used as poison on the tips of the arrows. Phew!!! 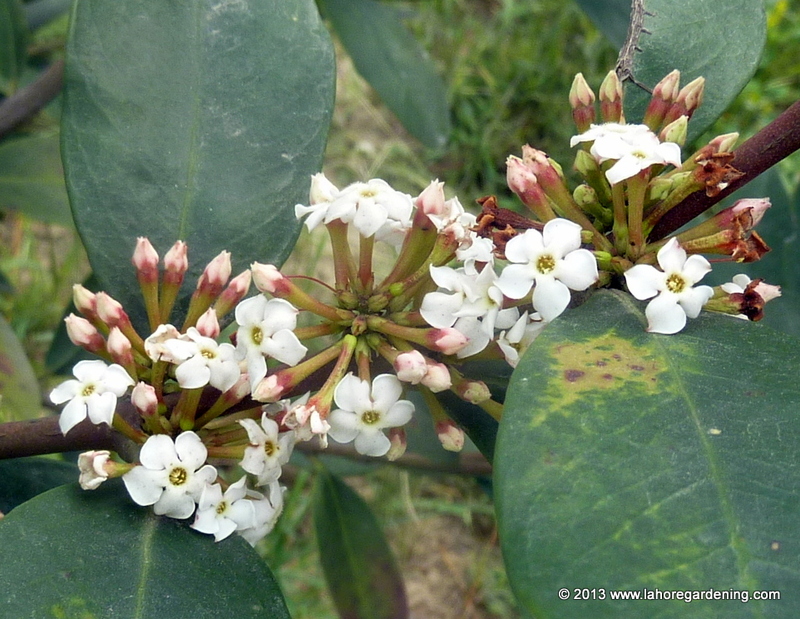 what a fragrant plant but too bad it is too toxic to grow. Well enjoy the picture. I will have to be on the lookout for that Passiflora hybrid. Passiflora incarnata is one of my favorites, and the only Passiflora I have found so far that is reliably hardy in my family’s garden. Maybe this one will be as hardy.